“When we published our 2016 report about North Carolina, we pointed out that the state’s 1999 law limiting electric cooperatives’ access to capital for broadband infrastructure was a major obstacle blocking high-quality internet access in rural regions,” says says Lisa Gonzalez, senior telecommunications researcher at the nonprofit Institute for Local Self-Reliance. This legislative awakening to the value of co-ops has led local government officials and community stakeholders to realize there’s a great opportunity to be leveraged. Municipalities and counties offer access to funding sources, political clout, and marketing muscle. Co-ops can amortize broadband buildout costs for 20 or 30 years, are ready-made markets, often have fiber infrastructure, and are not driven by a “shareholder profits” mindset. 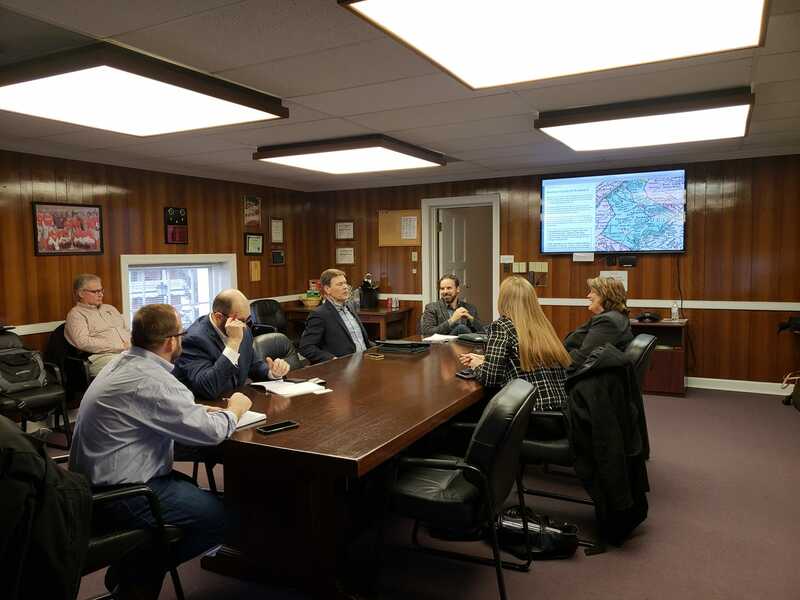 During a summit on broadband that Botetourt County, Virginia, held for residents and businesses, they discovered two co-ops providing or planning to offer broadband services in the county: Craig Botetourt Electric Cooperative (CBEC) from the west, and BARC Electric Co-op from the north. The county’s leadership is creating several partnerships that could ensure most of Botetourt County’s constituents have access to fiber. BARC scored $2 million in federal grants to build broadband. Craig Botetourt Electrical Cooperative put in $2 million of their own money and pursued a state grant funding in partnership with the county. The team got the grant, and that will enable hundreds of more residents and businesses. Serval years ago, Niles, Michigan, had fiber infrastructure but didn’t want to build and run a citywide broadband network. So they asked the nearby Midwest Energy Cooperative to extend the co-op’s infrastructure to the town. Lyndon Township is nearby and decided to participate in the project. “Their taxpayers approved a bond to pay for the construction of a fiber network, and we’re going to operate that network for the township,” says Midwest’s Vice President of Regulatory Compliance Dave Allen. As more cities become interested in community broadband, and as legislatures encourage municipalities to seek public-private partnerships, expect to see many new “broadband couples” walk down the aisle. Sometimes it may not be a “partnership” in the literal sense of the word but maybe something more along the lines of memoranda of understanding that guides co-ops and municipalities. At one point the City of Montrose and the Delta-Montrose Electric Association (DMEA) in Colorado both wanted to build a broadband network for the individuals and businesses. DMEA is a co-op that serves 32,000 people. The city has 19,200 residents. The co-op convinced the city that most of the its residents would be covered in four years. As long as the co-op stayed on track, the city would honor a non-compete agreement with the co-op. DMEA had a time commitment in which they turned on broadband services to new businesses. Montrose gave DMEA waivers so they can do aerial deployment of fiber and micro-trenching, instead of standard underground installation. The measures saved the co-op millions of dollars. Anza Electric Cooperative has a 550 square-mile service area that takes in a large part of Riverside County in Southern California. The county is undertaking a massive broadband buildout that includes a couple of dozen cities. Anza has partnered with the county by providing dark fiber services countywide. “In addition, Anza will provide broadband services to county government properties, its transportation systems, emergency communications systems, and other county operations,” Short says. Both entities have been planning for the eventual interconnectivity of long-haul access through the territory by building additional dark fiber resources to the extreme borders, all in anticipation of the successful rollout of the county’s plan to develop regional broadband access. Some broadband builders feel that once the network is finished, their job is done. However, it’s hard to have a good network without digital literacy, and digital literacy is a job that’s never done. “Riverside County has been very generous to their community, donating refurbished computers that Anza Electric Cooperative distributed on an income-qualified basis as part of the co-op’s digital literacy campaign,” Short says. Craig Settles  consults with municipalities and co-ops  about their broadband networks’ business and marketing plans.